Today, our Nation honors the legacy of Brigadier General Casimir Pulaski, a Polish-born hero of the American Revolutionary War who gave his life to defend our country in its nascence. Drawn to fight by the basic premise that people have the right to determine their own destinies, he came here to help us shape ours. In the struggle for independence, he stood with the brave soldiers of the Continental Army and his sacrifices helped lay the foundation for the strong relationship between Poland and the United States today. Born into a family determined to see a free and sovereign Poland, Pulaski demonstrated his courage and leadership abilities from an early age. Drawing on his experiences, he recognized the same yearning for freedom on display across the Atlantic in the American Revolution. Upon moving to France, he met Benjamin Franklin — who recognized his potential and recommended him to General George Washington, and in 1777, he embarked on a journey to help the Colonies preserve the same ideals of liberty and self-determination he fought for in his homeland. While serving, Pulaski’s zeal for the American cause impressed his fellow soldiers — including Washington, whose life he saved. He earned the rank of Brigadier General and an appointment to be “Commander of the Horse.” The cavalry unit he formed was in many ways reflective of our Nation today, comprised of volunteers of many backgrounds and beliefs and united in their faith in the unalienable rights of a free and independent society. 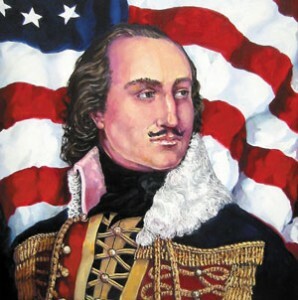 Fearless until his death on October 11, 1779, Casimir Pulaski symbolizes an enduring American truth: that we owe our independence to brave men and women, spanning multiple generations, devoted to a cause greater than their own. On General Pulaski Memorial Day, we celebrate the ideals and rights for which Pulaski fought and gave his life. We also celebrate all Polish-Americans who proudly preserve their culture in towns and cities throughout our Nation, enriching our society and contributing to our shared success. On this day, let us recognize the strong and enduring relationship between Poland and the United States, and let us renew our commitment to realizing the shared vision of our democracies: forging a world that is free and at peace. NOW, THEREFORE, I, BARACK OBAMA, President of the United States of America, by virtue of the authority vested in me by the Constitution and the laws of the United States, do hereby proclaim October 11, 2015, as General Pulaski Memorial Day. I encourage all Americans to commemorate this occasion with appropriate programs and activities paying tribute to Casimir Pulaski and honoring all those who defend the freedom of our Nation.